The New Horizons team calibrates the Long Range Reconnaissance Imager (LORRI) by taking pictures of the open star cluster M7. 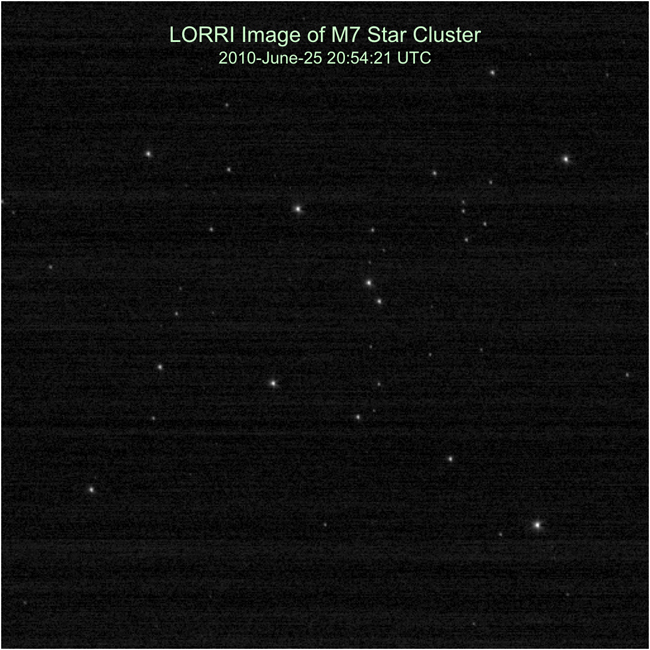 This is the first LORRI image of M7 taken during Annual Checkout (ACO)-4; the 100-millisecond manual exposure was taken on June 25, 2010. A preliminary comparison of this image to a 2008 LORRI picture of M7 indicated no degradation or change in LORRI's performance.